Olympia Motorcycle stand behind their motorcycle repair services. We work on Harley’s and all other street bikes. 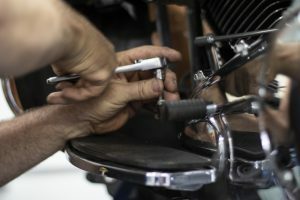 List of common motorcycle repair services. Handle Bars, hand and foot controls.